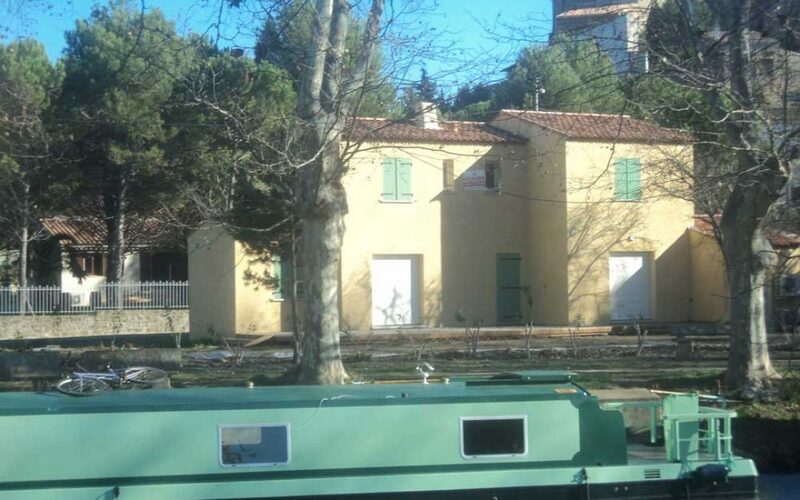 This attractive 3 bed house at Argens-Minervois is right on the Canal du Midi. This new build has reversible air conditioning, double glazing, a large sunny kitchen, bathroom, shower room and 2 toilets. There is a garden with large terrace and parking.